There are variety of payasu made on auspicious occasions and festivals by the GSB/Konkani community. Few to name are Shevayin payasu, Rawe payasu, Gharayi, Madgane, Doodhpak, etc. I have already posted the recipe for Shevayin payasu and Rawe Payasu. Today I have got you the recipe for Doodhpak. Doodhpak literally means milk sweet syrup. 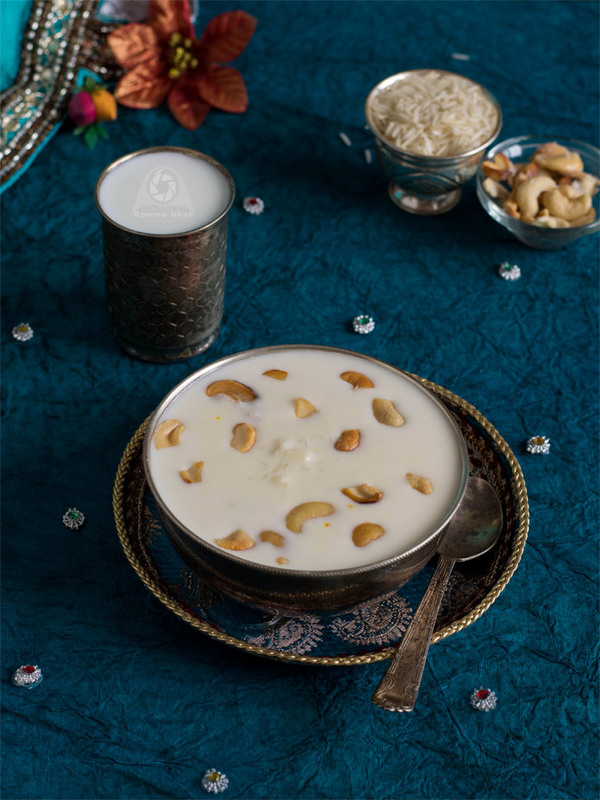 It is basically a delicious and aromatic concoction made by slowly simmering the milk with rice, sugar and cardamom powder to form a creamy rich treat packed with all dairy goodness. Few years back when I got an opportunity to make this sweet dish for a festival celebration here, one of my friend passed on this recipe to me. Wash the rice clean and soak it in enough water for 30 mins. Then put it in pressure cooker vessel, add 1 cup milk + 1 cup water and cook it for 3 whistles. Meanwhile, roast raisins and cashews in 1 tsp ghee and keep it aside. Heat remaining 7 cups milk in a thick bottomed vessel and bring it to a boil. Continue cooking stirring at intervals. When the milk is reduced to half, add cooked rice and continue cooking for 10 mins on low flame. Next add 1 cup sugar and cook until it dissolves. Add cardamom powder, roasted raisins and cashews. Mix it well. 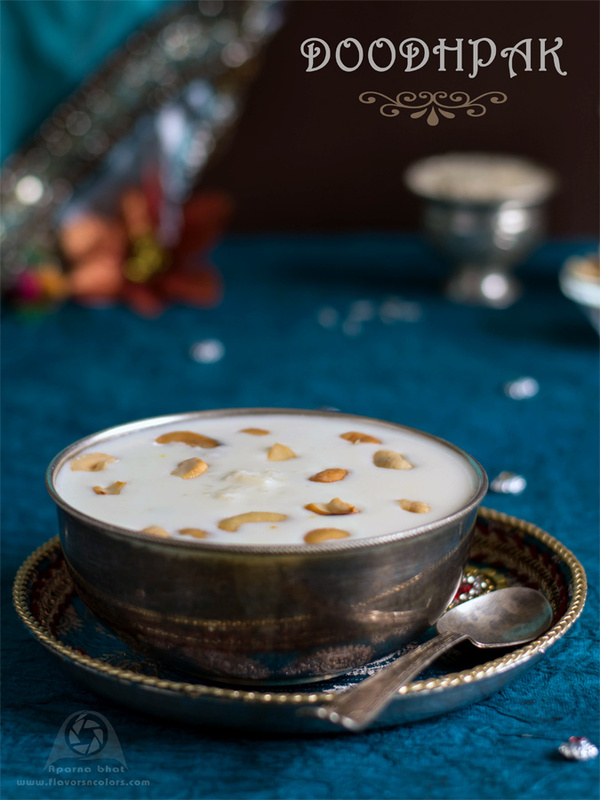 Serve it hot, warm or chilled garnished with roasted raisins and cashews. I prefer this dish without saffron. You may opt to add saffron soaked in warm milk to this dish.